And one thing more, do you know what the sculptures of the mansion are for? So went Rusty, our very strict but informative tour guide at one of Vigan City’s numerous museums. Our group woke to a very wet day, the previous day’s rain hasn’t abated and it was still drizzling as we went out of Casa Caridad after a hearty breakfast. Our first stop of the day, Elpidio Quirino’s home, the Syquia Mansion. 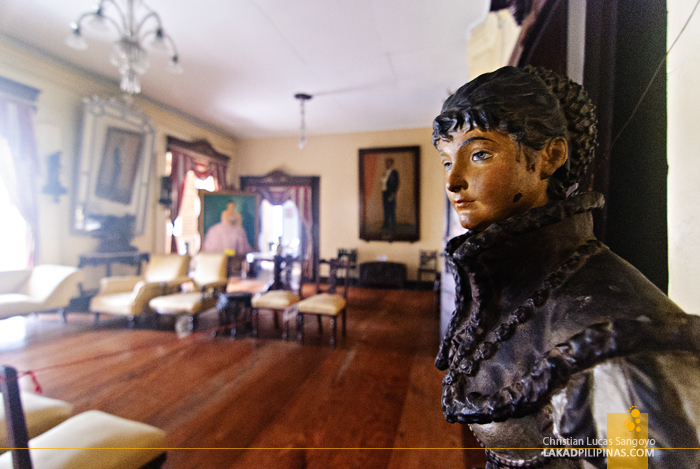 The mansion is typical of the many ancestral Bahay na Bato in Vigan City; thick stone walls on the ground level, painted wood on the second. 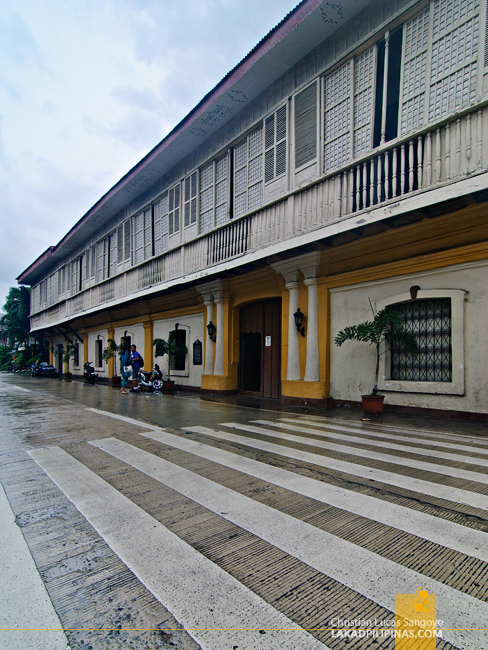 It is however, quite noticeably, larger than your average ancestral house, spanning almost a whole city block. 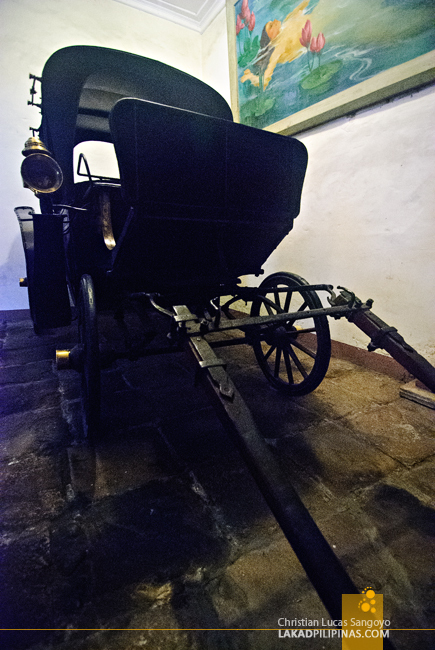 One can still see a carriage parked at the lower level of the house, typical of Bahay na Bato structures of olden days. The floors are made of huge stone slabs called piedra, which as our guide told us, came all the way from the Chinese merchants who used them to weigh down their empty ships before loading in the goods coming from Vigan City. 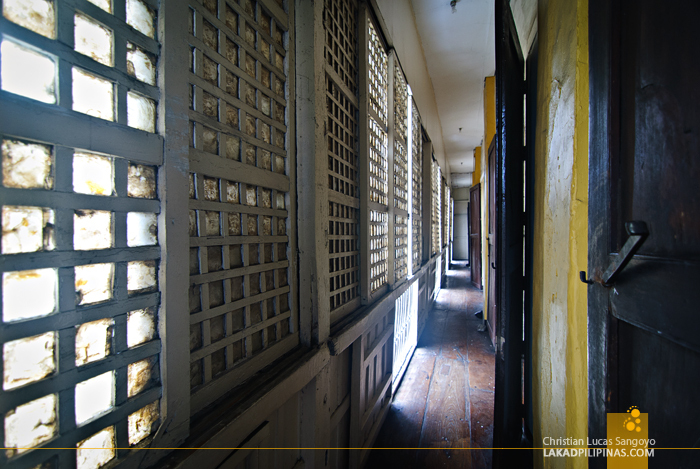 But the real story behind the Syquia Mansion lies at its second floor. Upon ascending its wide wooden staircase, a golden vase entwined with dragons greeted us. This is the most precious artifact the museum has. But our guide, being a bit mysterious, won’t really reveal why. It is interesting to note that while this is a former president’s house, the place is dubbed not after his name, but that of his wife. The story goes that in the olden days, when a guy marries a woman, the family of the latter gives a dowry to the former. So technically, the mansion is aptly named after all to the Syquia’s, which has ancestors rooted to China. Point in fact; their surname is a conversion of Sy Kia. A Chinese family name converted into a Hispanic one. The Syquia family’s social standing were quite high during those times. 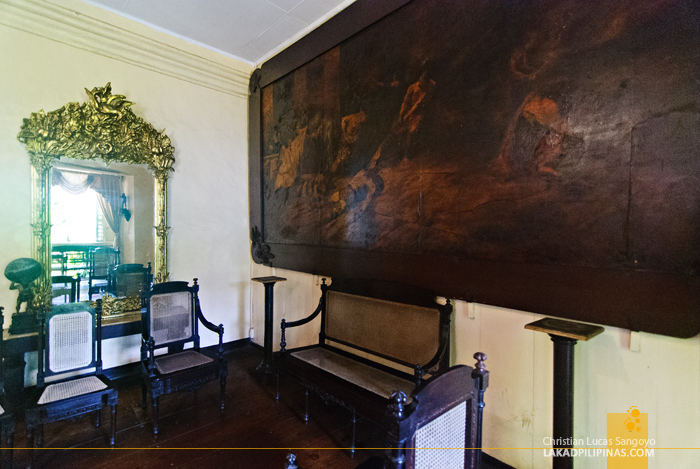 And one can actually see how opulent their house was through the numerous paintings hanging on their walls. There are three original Amorsolos and a replica of Luna’s obra, Spoliarium, done by his sister, gracing the walls of the house. 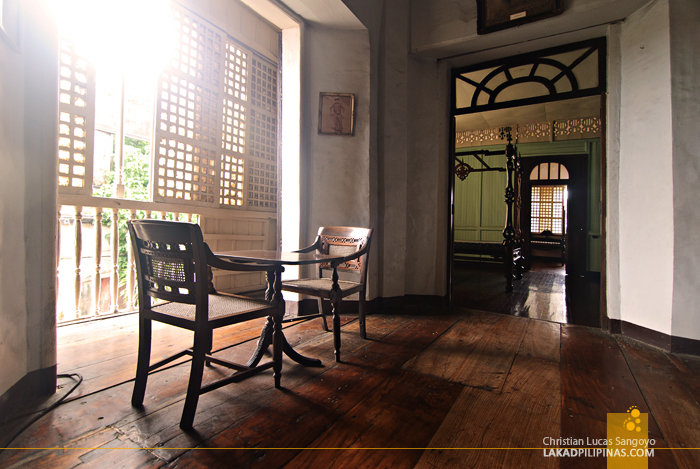 Stepping through the mansion’s living area, I was immediately transported to Vigan’s bygone era; foot-wide hardwood planks, antique furniture, glass chandeliers and draped capiz windows. I can just imagine the parties and balls this place once held during Quirino’s term as Philippine president. Leading us to the outer wall of the Syqiua Mansion, our guide showed us a passageway used by servants to get from one room to the next without being seen by house guests. 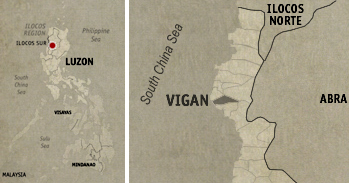 Remember the term Alipin sa Gigilid during your grade-school history subject? This was where it originated from. The house’s dining hall is equally grand as the living area. A long table dominates the room, with a couple of drapes hanging over it. These drapes, as our guide relayed, are used as fans, manually operated by servants for the diners. 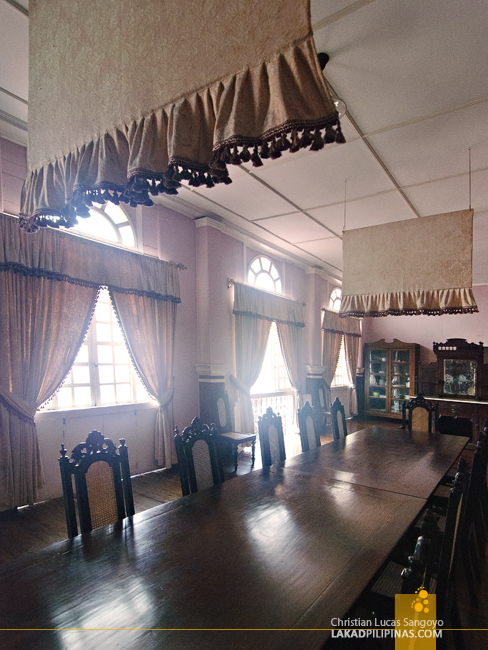 The room also served as a meeting place for Quirino’s cabinet members during his presidency. But Syquia Mansion’s most interesting rooms for me are its sleeping quarters. Besides the secret passageways installed along its walls, its beds are one of a kind. Well, yeah they’re your typical four-poster beds that most of us won’t sleep in without a light on, but take a closer look and you’ll see what I mean. 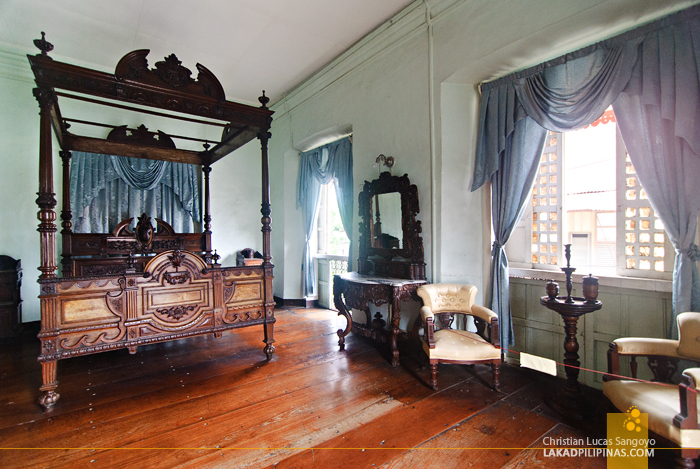 These beds, which are called Atays, are named after a Chinese artisan from Vigan City. 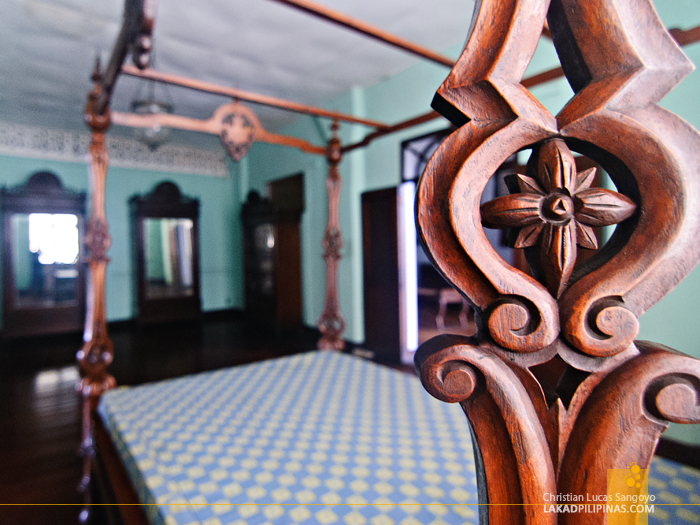 These finely-carved four-poster wonders are the basis for some of the beds in Vigan’s bedrooms, including those found in our lodging, Hotel Felicidad. Our guide pointed out certain carvings that connotes how individualized his designs were, the most obvious of which were the letters inscribed on its headboard which stands for the owners’ names. The whole mansion wraps around a central courtyard found, not on the ground floor, but at the second floor of the house. 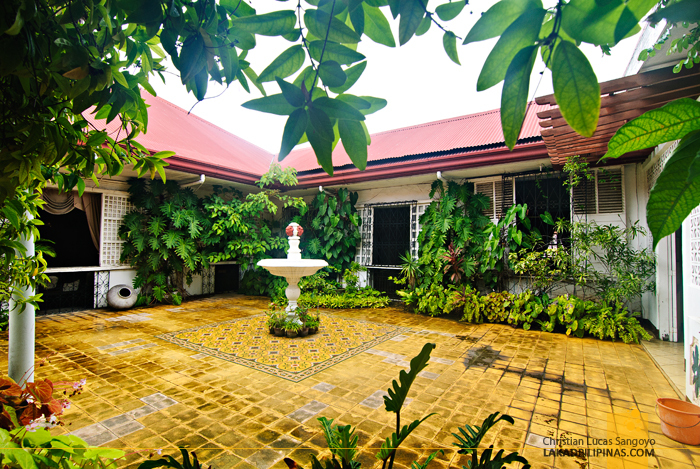 I haven’t seen anything like it on any ancestral house I’ve visited. 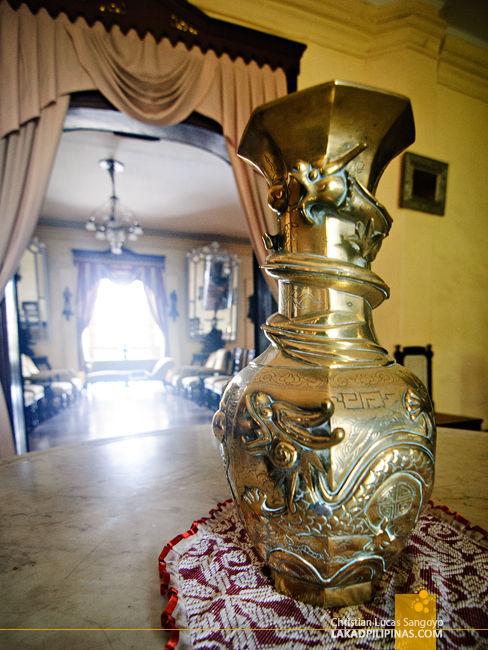 A true testament at the grandness of Vigan’s Syquia Mansion. Hi, sorry I don't have one. Maybe you can contact them to obtain one? Hello, are they near each other? 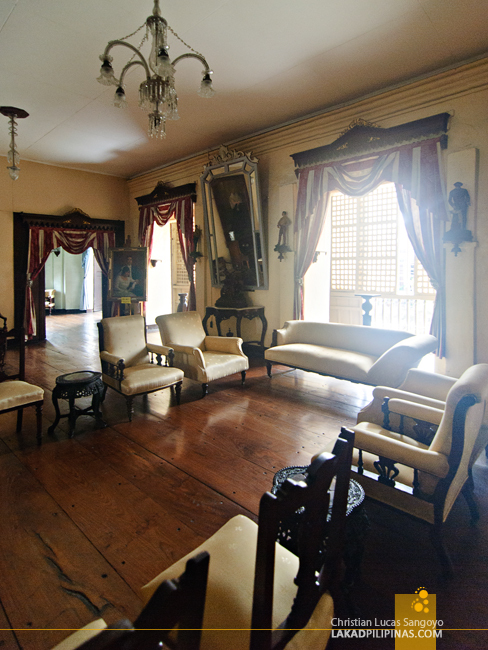 I am trying to search the Quirino Museum on Google Maps but it leads me back to Siquia Mansion. Thank you for answering. Hi Katrina, I think the Quirino Museum is quite new. I actually haven't been to that place yet. But if I have to guess, it's near the Provincial Capitol. may contact number po ba dun? we're planning to have our prenup kasi sa mansion. ask sana namin kung pwede.